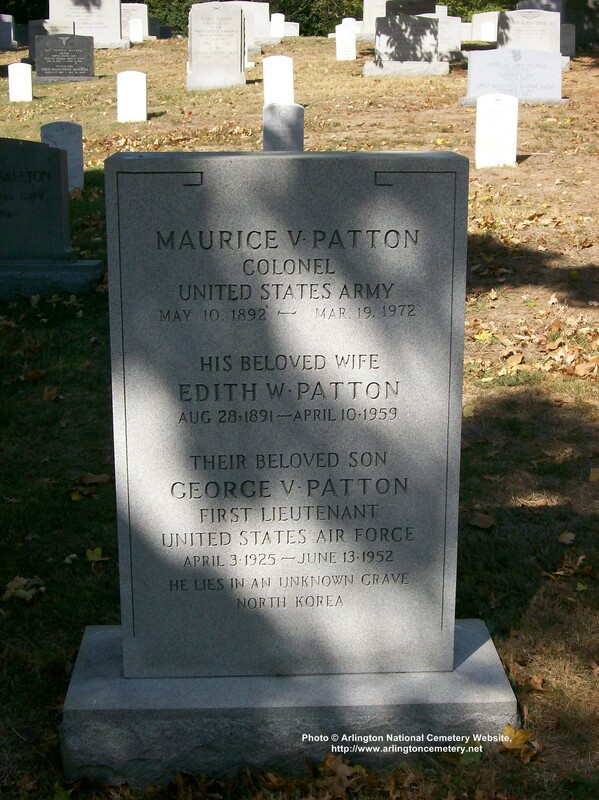 First Lieutenant Patton was a member of the 67th Fighter Bomber Squadron, 18 Fighter Bomber Group. He was listed as Missing in Action while participating in aerial support over Korea on June 13, 1952. He was presumed dead on December 31, 1953. For his leadership and valor, First Lieutenant Patton was awarded the Distinguished Flying Cross, the Air Medal with 3 Oak Leaf Clusters and the Purple Heart with Oak Leaf Cluster. 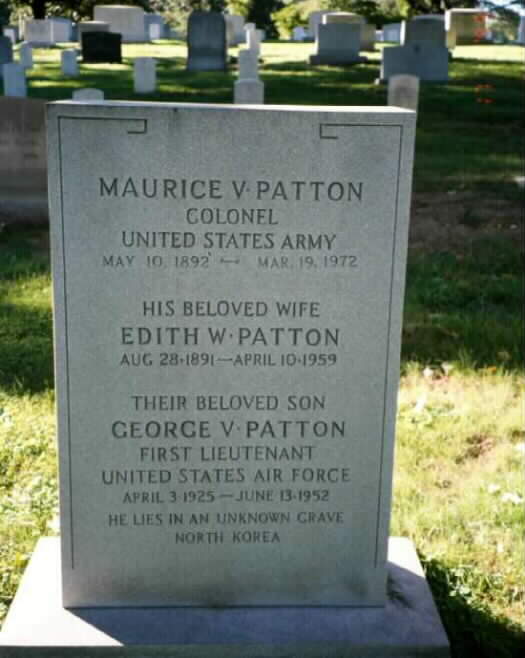 He is listed on the headstone of his parents, Colonel and Mrs. Maurice V. Patton.